The Damon System is not just about revolutionary braces and wires, it's an entirely new way of treating patients. Traditional treatment often requires removal of healthy teeth and the use of palatal expanders to make space. This approach is often uncomfortable, takes longer and can leave a narrower arch and a flat profile. Damon smiles are full, natural smiles achieved with light force specifically designed to improve the overall facial result of each patient. Traditional braces are tied in with elastics, which cause friction and pressure, making treatment slower and less comfortable. 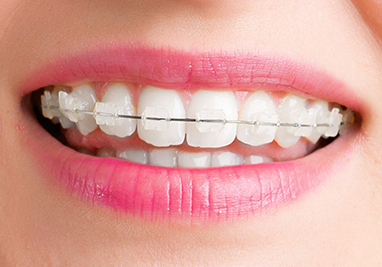 Damon braces use a slide mechanism to hold the wire, which allows teeth to move more freely, quickly and comfortably. Damon braces are designed to be discreet, comfortable and easy to keep clean. Without the elastic ties which attract and collect plaque, Damon braces make dental hygiene easy during treatment. Ceramic braces are the perfect combination of strength and beauty, so you can keep smiling during, and after your treatment. Clear braces are a popular choice for teens and adults who want to make a less noticeable statement with their commitment to a healthier smile. The natural look of these smooth, sculpted and completely clear ceramic braces are strong and will not stain or discolor. These ceramic brackets offer our patients the look they want, with all of the functionality of traditional metal brackets. Their comfortable, sculptured design and attractive translucent appearance help provide the self-confidence that comes from wearing braces that look as good as they perform. They are the perfect combination of strength and beauty, so you can keep smiling during, and after your treatment. Invisalign treatment is a technique that straightens your teeth without braces, using a series of clear, removable aligners that are custom-modeled to fit your teeth. 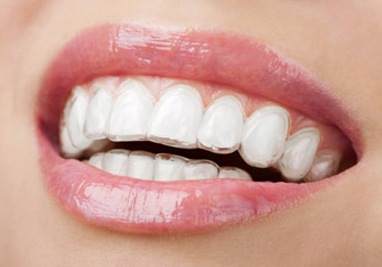 The virtually invisible aligners gradually reposition your teeth into a smile of which you will be proud. 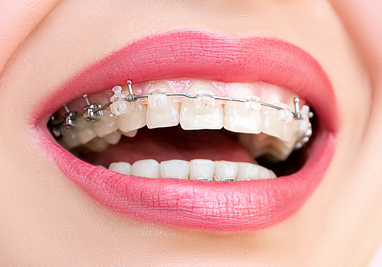 Unlike traditional braces, Invisalign has no metal bands or wires to trap food and plaque. Maintaining a good oral hygiene program will also reduce chances of plaque buildup, tooth decay and periodontal disease.